Just show up! Or, RSVP on Facebook. What if "gods were pop stars and pop stars were gods"? When does fandom become idolatry? Is burning twice as bright worth burning far less than half as long? Such are the thought-provoking questions stirred up by The Wicked + The Divine. In this series, written by Kieron Gillen and drawn by Jamie McKelvie, set in 2014 London, you’ll meet the 12 members of The Pantheon. Once everyday teenagers, they’ve gained superhuman powers with just a few little catches: a life expectancy of a mere two years, a mandate not to harm humanity with their powers, and a chance to ‘recur’ (read: reincarnate) every 90 years. They’re also pop icons with all the trappings of fame, including obsessive fans, nasty haters, and for some, ambitions and vices that put them and, potentially, all of humanity at risk. 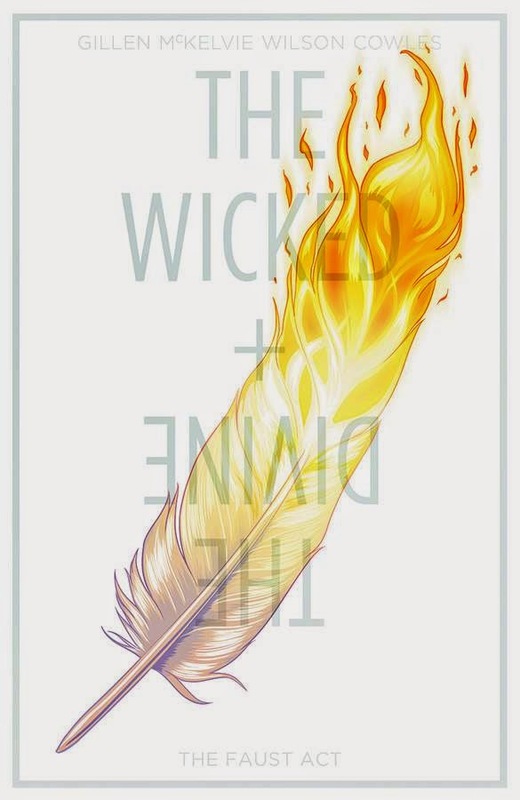 Join us as we bandy about the questions above and below, exploring the relationships between fame, idolatry and art, and the potentially sinister influence of pop culture as reflected through the pages of our February Graphic Novel Discussion Selection: The Wicked + The Divine. How confusing was the beginning? Very or not at all? This book has been lauded for its predominantly female and multi-racial cast. What did you think about the diversity of characters? In today's culture, are celebrities just as, if not more, influential as religion? Mythology: Is familiarity with mythology essential in order to fully enjoy and understand this story? Is the bond between Laura and Luci realistic?